One of the many things I love about cooking is how it can remind us of life's little lessons. A few days later I had the ovenproof bowls, but the Gruyere cheese was gone. Not only with bowls and Gruyere ...but a beautiful French baguette! It reminded me how......"the best things in life are well worth waiting for!" In a large, heavy stockpot (I LOVE my Le Creuset) melt down butter. Add your onions and saute over medium heat, stirring often until onions soften and are starting to just brown, about 12-15 minutes. Sprinkle in flour and mix together with onions. Add wine and thyme. Cook an additional 1-2 minutes. Add lemon juice and broth. Bring contents just to a boil then turn down to a simmer, cover the pot and cook an additional 10-12 minutes. When you're ready to eat, preheat oven to 375. Slice the bread to desired thickness (about 1/2-1 inch thick). Brush the bread with olive oil or butter. Place bread slices in the oven until just crisping on the sides about 5-8 minutes. Once out of the oven, lightly brush the top of the bread with a peeled garlic clove just to give the bread a hint of garlic flavor (optional). Ladle soup into ovenproof soup bowls, top with a piece of toasted garlic bread then top with desired amount of Gruyere cheese. Place soup bowls in a pan or on a baking sheet to catch any melting cheese from falling into the oven. 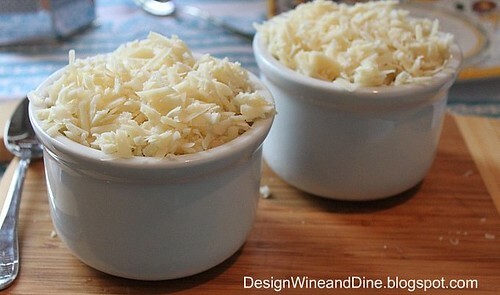 Heat prepared soup bowls in the oven for about 8-10 minutes or until cheese is melted and bubbly. It does look well worth waiting for!yum! I love French Onion Soup! I have been thinking about making it for last couple of weeks, and then the stars aligned for me....I saw your post. Your photos are delightful, and the ramekins are perfect. Love it! Thanks for the needed inspiration. What a great lesson to learn. French Onion Soup is by far my favorite soup! I like to pile on the Gruyere! I adore onion soup and have the ovenproof bowls to make it in...just need to get my act together. Yours looks wonderful. Totally gorgeous. A perfect recipe for these cold days. 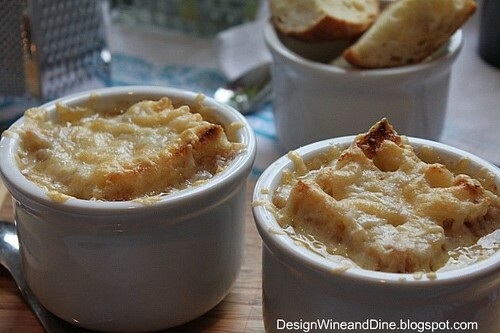 I've been wanting to make French Onion Soup for months too and don't have any of those perfect little oven proof bowls. Isn't it just delicious? LOL..Fantastic lesson to be reminded of!! 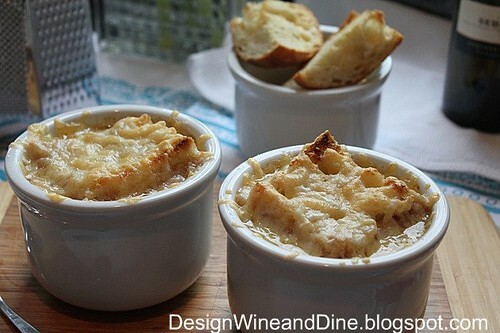 I'm not a fan of French Onion Soup - BUT - this looks INCREDIBLE! I would dive into that bowl in an instant! My all time favorite soup. I love French onion soup and so does my husband. Oh yes, that was definitely meant to be - that soup looks beyond delicious and into the realm of ludicrousious. Another favorite of mine! 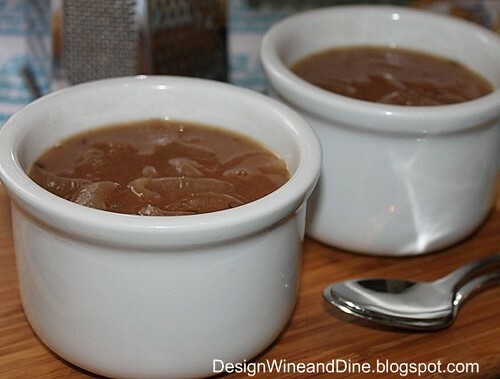 I am going to have to get some oven proof dishes, there is nothing like a good bowl of French onion soup. Notice I said "good" bowl and your recipe sounds perfect! I love French Onion soup. This looks beautiful. I love your little crocks. I've been looking for something just perfect for French Onion Soup. This is the way I feel about most ingredients. Whenever I want them, I don't have them or can't find them in the store. And when I don't need them...they magically appear in bulk! French onion soup is definitely one of the good things in life. Delicious. It has been a long time since I have onion soup. Thanks for the reminder. Yours look so tempting and the pictures are lovely. Love this soup! Very comforting and delicious! i grew up eating this soup as this was my dad's favorite! i just love trying new recipes to classic:) thank you for sharing this. 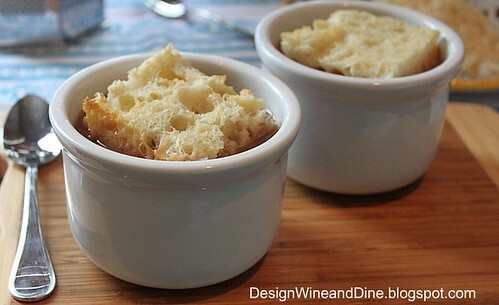 We adore French onion soup in our kitchen. It's a shame it can be so awful in some restaurants. Yours has everything that makes French onion soup delicious and satisfying. It's just a shame that I can't eat French Onion Soup every day. It's one of my favorite dishes! You HAVE to try my version that lets the oven to the first part of the caramelization process-- you will NEVER go back! Wow! Your French onion soup looks fabulous. It's making me hungry! oh this looks perfect and well worth the wait! Yummy! I loooove French onion soup more than any other soup.